This is my first time using this system, and I have been provided both a login ID and password. What is the login process? I have successfully logged in, but the system is now asking me to register my computer. What is the registration process? Why am I being required to register each computer I use to access online banking? I registered my computer during a previous login, but the system is asking me to register it again. Why? I have previously registered other computers, but the system is telling me that I have exceeded the allowed number of activations. What do I do? How do I remove the registration from a computer that is no longer mine? I registered for protection but I don't see my phrase. What should I do? Enter the login ID you were assigned. Select the checkbox indicating that you are a "First Time User". Requesting an Access Code: You will be directed to a page displaying the secure contact information we have on file for your account. Select one contact from the list that you can immediately access and our system will deliver you a temporary secure access code within minutes. NOTE: If all of the contact information we have on file is inaccurate or out-of-date, you cannot proceed any further. Please contact us to provide updated information. Phone Delivery: If you select phone delivery of your temporary code, just answer the phone normally when the call arrives. You will be prompted to make a selection to hear your code, and the system will give you the option to repeat the code, if necessary. Our system will not leave a code on voice mail, so if you miss the call, just repeat the process. SMS (Text) Delivery: If you select the text message delivery of your temporary code, you will receive a very simple message containing the requested code. Standard text message fees apply. Email Delivery: If you select an email account, you will receive a very simple email containing the requested code. If you do not receive this email, please check your "Junk Mail" box. You can configure your "junk mail" settings to allow future emails from our address. Enter, or cut and paste, the temporary code you receive on the following screen. NOTE: Do not navigate away from the screen. If you need to access a web mail account to retrieve your code, please open a new browser window or browser tab. Establishing your Preferred Password: Once you have successfully entered your temporary code, you will be directed, step-by-step, through the completion of your enrollment. The process will end with you creating and confirming your preferred password that will be used in combination with your login ID on future logins. The next time you login to online banking, you may be required to register your computer to limit access to your account information from non-registered computers. See help for Registering your Computer. Q: This is my first time using this system and I have been provided with both a login ID and password. What is the login process? Enter the login ID and password you were assigned. Registering your Computer: You may now be required to register your computer. If so, you will be directed to a page displaying the secure contact information we have on file for your account. Select one contact from the list that you can immediately access and our system will deliver you a temporary secure access code within minutes. NOTE: If all of the contact information we have on file is inaccurate or out-of-date, you cannot proceed any further. Please contact us to provide updated information. Email Delivery: If you select an email account, you will receive a very simple email containing only the requested code. If you do not receive this email, please check your "Junk Mail" box. A: As your financial institution, it is important that we have your current contact information on file. If the contacts displayed are not up-to-date, please contact us. You cannot complete a first time enrollment or register your computer without at least one valid contact that you can access. A: Once you have successfully logged into the online banking system, you can update your preferred contacts via the Preferences>Security menu. A: No, it is only a temporary access code. 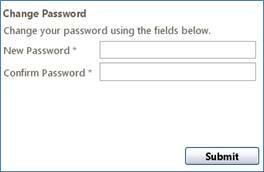 Never enter a secure access code on the login page as a password or as an existing password when instructed to change your password or establish a new password. Select the checkbox labeled "Forgot Password?". Email Delivery: If you select an email account, you will receive a very simple email containing only the requested code. If you do not receive this email, please check your "Junk Mail" box. You can configure your junk mail settings to allow future emails from our address. Establishing your Preferred Password: Once you have successfully entered your temporary code, you will be directed to create and confirm your new password that will be used in combination with your login ID on future logins. Q: I have successfully logged in, but the system is now asking me to register my computer. What is the registration process? Registering your Computer: You are now required to register your computer. You will be directed to a page displaying the secure contact information we have on file for your account. Select one contact from the list that you can immediately access and our system will deliver you a temporary secure access code within minutes. NOTE: If all of the contact information we have on file is inaccurate or out-of-date, you cannot proceed any further. Please contact us to provide updated information. Activating your Computer: Depending on your account status, you may have the ability to choose whether or not you want to 1) activate your computer to avoid this registration process in the future or 2) take one-time access to your accounts. If you are on a public computer, you should always choose one-time access so the system does not register the public computer. You will then be directed to the Account Overview page. Your browser settings are set to delete cookies, or your browser cookie for online banking has been deleted since the last time you logged in. You are logging in via a different browser on the same registered computer. Each browser (i.e. Internet Explorer/Firefox/Safari) must be individually registered. Q: I have previously registered other computers, but the system is telling me that I have exceeded the allowed number of activations. What do I do? A: For your security, we have set a limit to the number of allowed registrations for each login ID. As you may have reached the limit, please contact us for assistance. Q: I registered for phishing protection but I don't see my phrase. What should I do? If you have not submitted a phrase through the browser you are using (but you had previously set up a phrase on a different browser) that is likely the reason you are not seeing your phrase. When you submit your phishing phrase, it is effective on the individual browser used on the computer from which you established the phrase. However, as you submit a new phrase on another (second) computer/browser, the newly submitted phrase will be shared on all previously used browsers. In other words, you can set phishing phrases on several browsers but you can only have one phrase associated with your login ID, which is the most recent phrase you submitted. It is also possible that you are not seeing the phishing phrase because the site you are on is not our secure online banking site. That is, in fact, the reason we have a phishing phrase, so you can be aware of attempts by malicious individuals to lead you to an unauthorized version of our site, referred to as "phishing". The absence of your phishing phrase may be the only way to tell the difference between our site and an unauthorized version of our site. If you are certain the absence of your phishing phrase is not due to the cookie explanation given above, please contact us immediately, BEFORE you login. Make sure the web address for the site is the same as, or linked directly from, our main website.